I feel like there's a right little mixture of stuff in this post, but all of them do have that luxury feel. I've really enjoyed testing out the products myself too, (with some help and opinions from my family and friends as always). I'd be thrilled if I received any of these as a gift, and I'm sure you know someone that would be too. Esme Louise is a Yorkshire gal at heart but she moved out to New Zealand a few years ago and now makes beautiful dainty jewellery out there from sterling silver. (Since she is on the other side of the world, I'd get your orders in quick!) 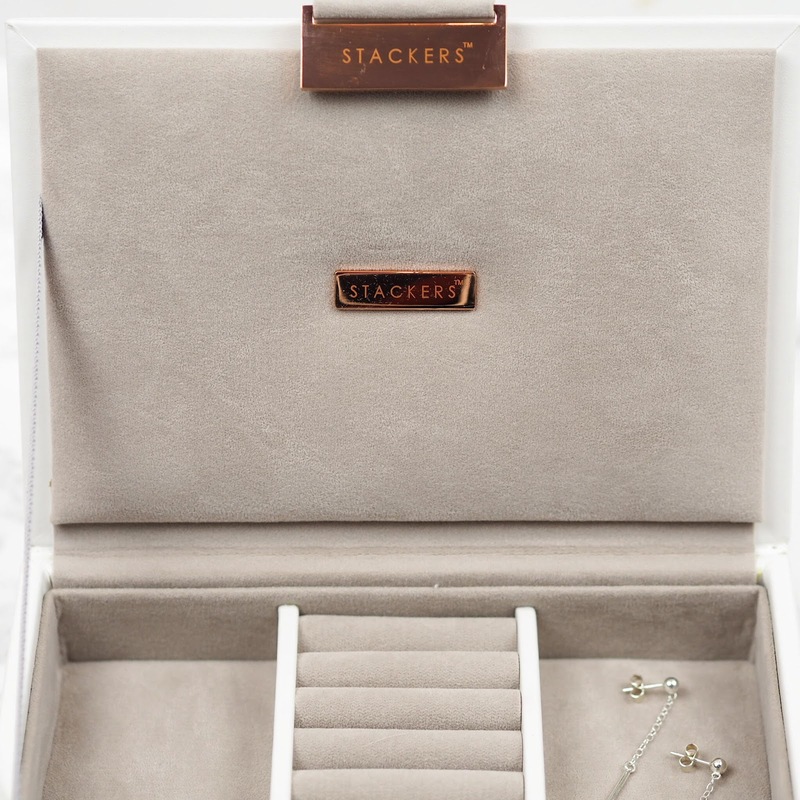 Her pieces are so stunning and intricate, and each is made by hand, plus everything is so gorgeously packaged up too! 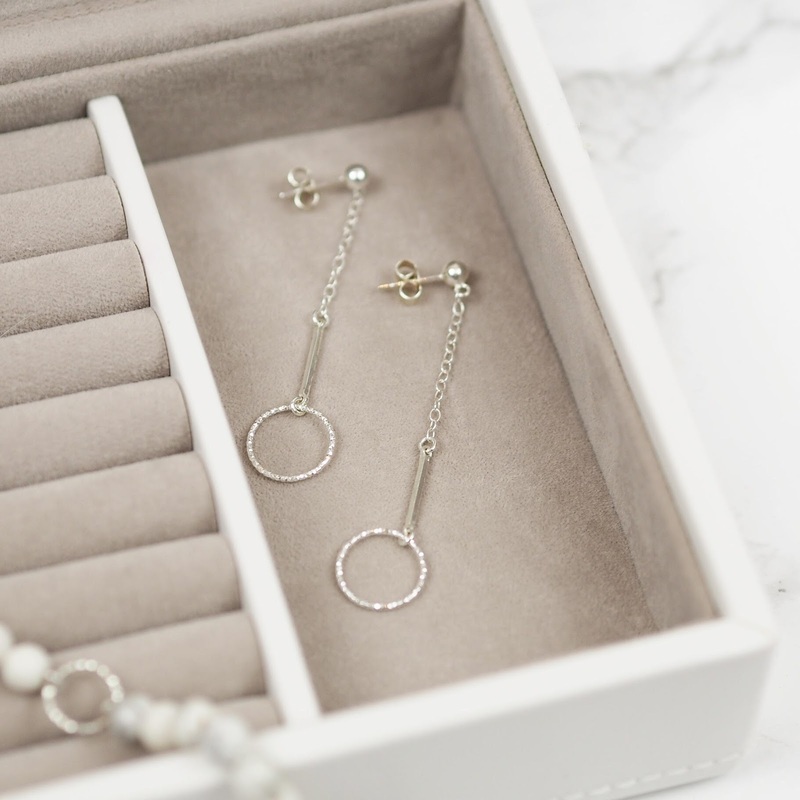 I would absolutely check out the Esme Louise website if you're looking for a really timeless but unique piece of jewellery. 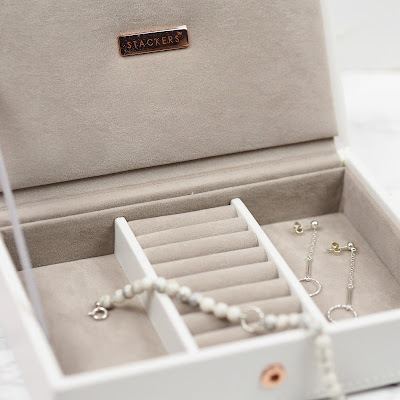 My favourite piece are her drop earrings, cause they make a statement, without being too "in your face" and I always get compliments when I wear them! There's a whole post coming on Esme Louise Jewellery, cause honestly her pieces are so beautiful I just want to take thousands of pictures of them! Plus Esme herself is such a kind soul, and puts so much time and thought into each piece she creates, she honestly deserves all the business and success possible. The colour selection is really lovely too, they have loads of gorgeous neutrals so you're bound to find something for that special someone. If you have control over what you wanted for Christmas, you could even ask a different family member for a different section of the box! They've got a really luxurious feel about them too. Perfume is one of those fail safe gifts that you just can't go wrong with. 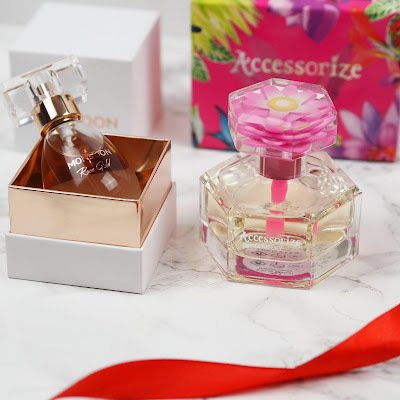 These two are from Monsoon and Accessorize, and firstly, can we talk about how cute the packaging is!?! Most importantly though, they smell delicious. Rose Gold by Monsoon is a more classic fragrance and has a really lovely balance of delicate florals and musk. 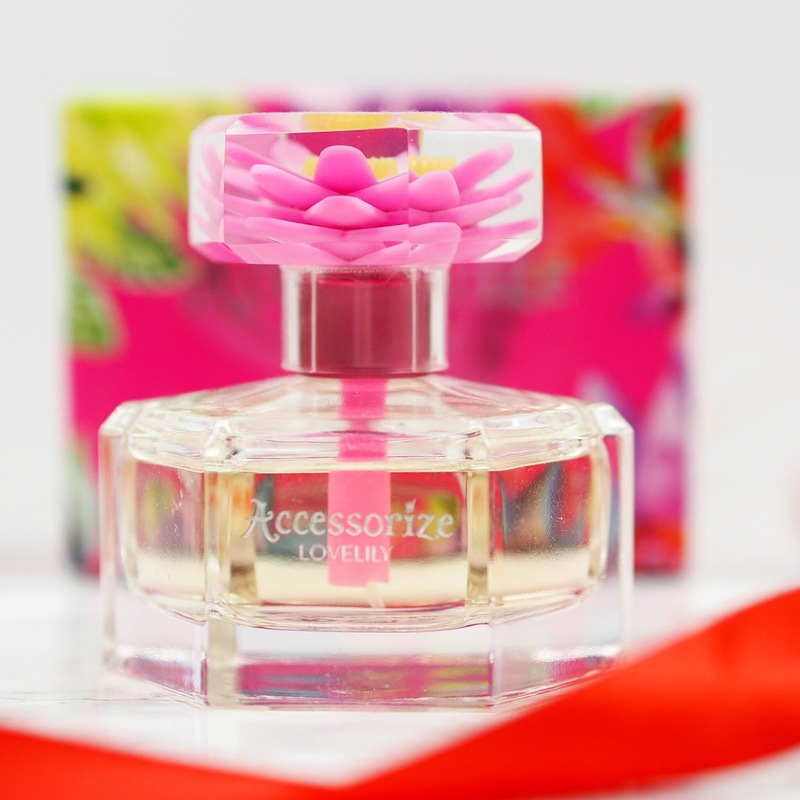 Love Lily by Accessorize is more sweet and fruity, (I'd say the younger of the two fragrances) but yet still really wearable. The vanilla notes really pull through for the entire day, and I just love catching a whiff of myself when I wear this. (I'm basically obsessed, can you tell?) I actually think these are really reasonably priced too cause you get so much perfume in both! 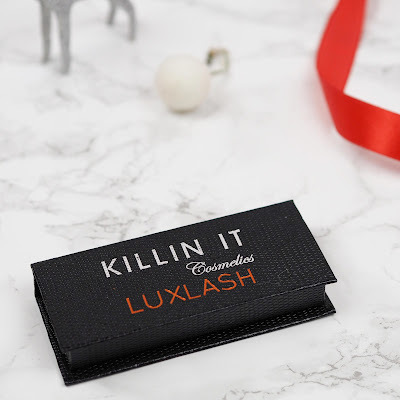 Killin It Cosmetics is a brand I've featured on the blog before, (read my review and swatches of the Epic Nights palette here), because I love their products! 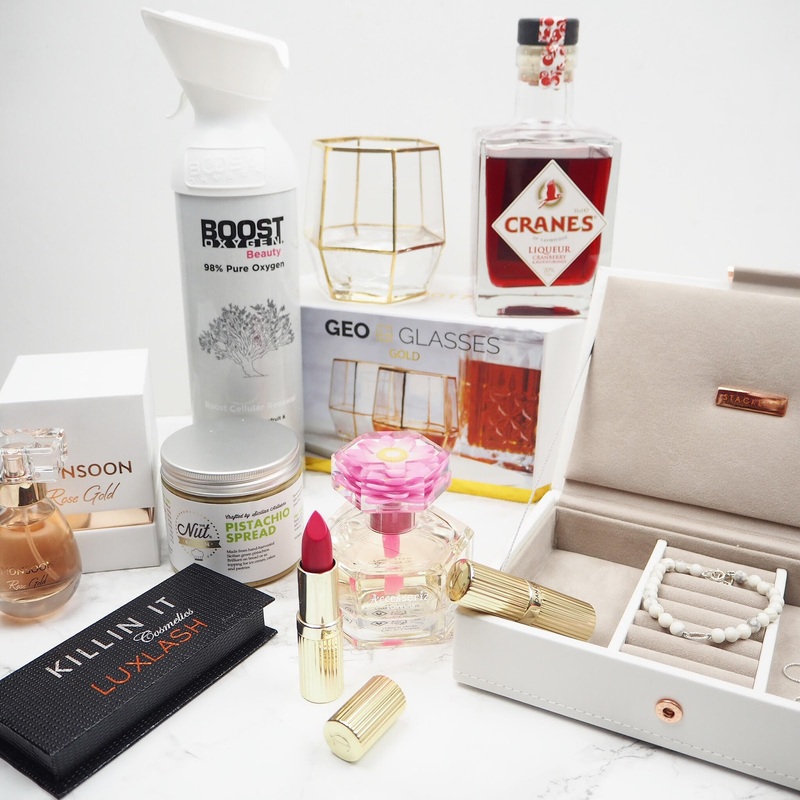 They've recently launched some new liquid highlights called their 'Illuminator Drops' (which look incredible FYI), but I felt that these lashes had to feature in my gift guide cause they look and feel so luxurious, and they're the perfect present for any beauty lover. Killin It Cosmetics already sell a great selection of Fake Lashes, but recently released their LuxLash collection which are oh so fabulous, and I think the copper and black packaging gives it that extra special touch. Faux Mink lashes are all the rage now, and I've already worn these 6-7 times, and they show no signs of wear yet, so I'm really impressed! They're so light and weightless on the eye yet really give that gorgeous fluttery look. 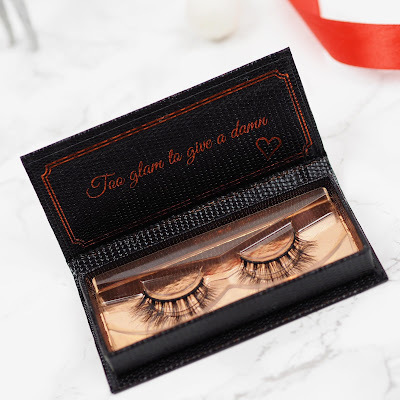 I found them easy to apply too (and I'm fairly rubbish with lashes) so they'd be a great option for someone that's new to falsies! 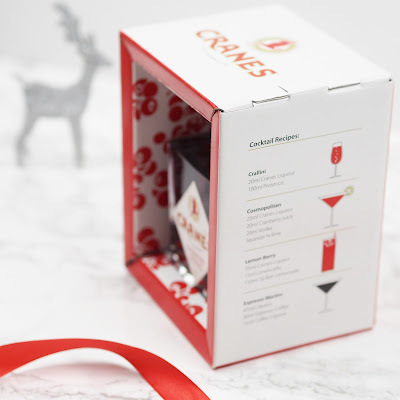 The packaging is really sleek and festive too, plus it comes with a couple of recipe ideas on the box, if you did need a bit of inspiration. At £16.50 for 35cl I really don't think it's badly priced at all for something so unique and delicious. It's definitely one to add to your drinks cabinet and bring out at parties! Continuing on with the drinking theme, these Geo Glasses from Root7 are beyond cool. They come in black and gold, and obviously the gold had my heart the second I laid eyes on them. They're actually inspired by terariums which I thought was so fun! Gold hardware is really popular at the moment too, so I really don't see anyone turning a couple of these bad boys down! 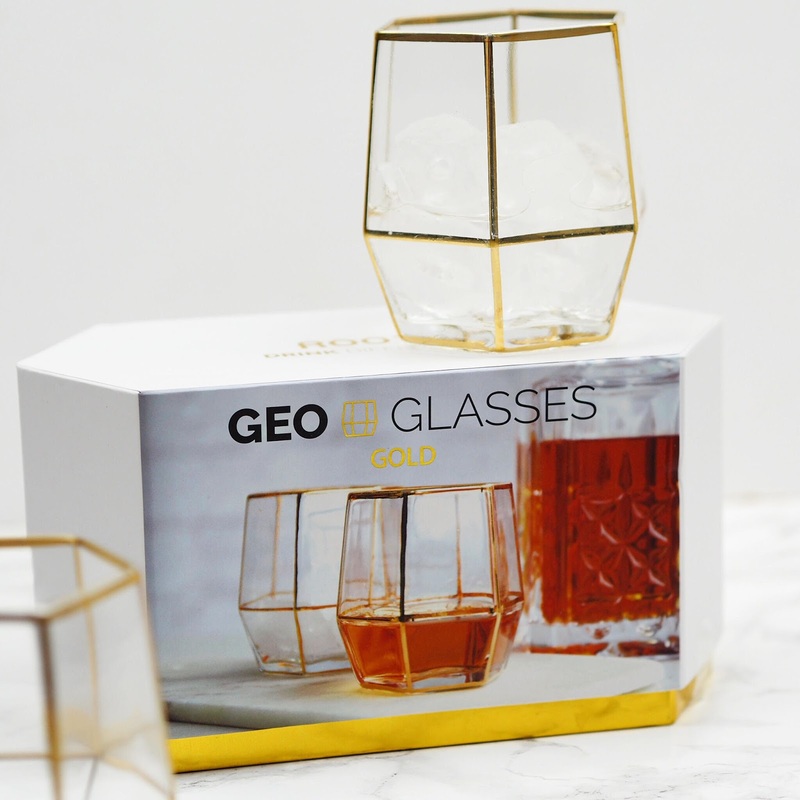 The hexagonal shape makes them really nice to hold too, plus they'll look great on any mantelpiece as a tea-light holder - or even a trendy home for your favourite cactus! I'd definitely check out the Root 7 website if you've got a friend that has recently got their own place, or someone who loves home decor or just a straight up foodie! They have so many edgy and innovative things on there that'll make the best presents! You know that friend that has absolutely flipping everything and so is really difficult to buy for? That's when a quirky gift like the Boost Oxygen Beauty comes in handy. Each of these fun products from Boost Oxygen UK have a different flavour and come with different benefits. 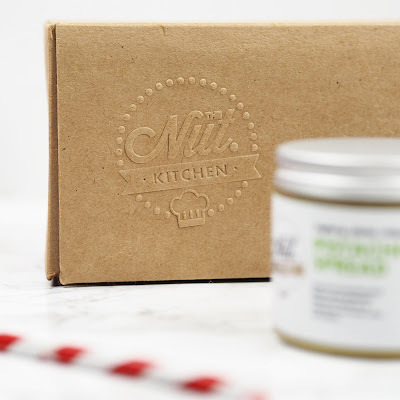 This one contains 98% Pure Oxygen and the two active ingredients are Pink Grapefruit and Frankincense. 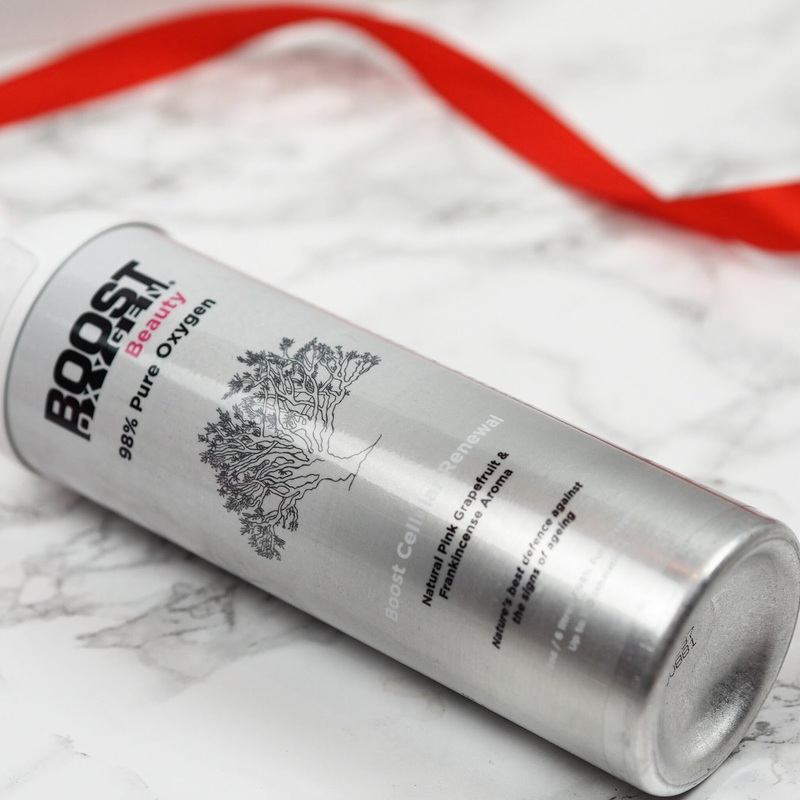 It's got a really refreshing taste and definitely has a de-stressing effect. 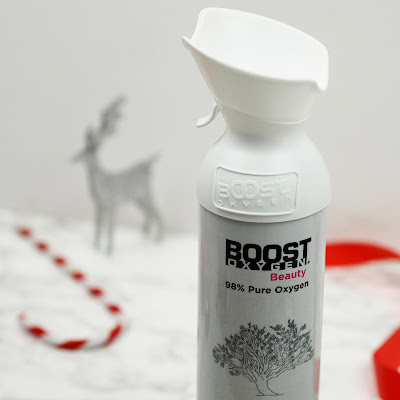 This is the bigger size of the two and contains around 100 inhalations, but if you wanted to buy one as a stocking filler, there's a 4oz size that contains up to 50 inhalations. I remember seeing Oxygen bars in Las Vegas a few years ago and wondered what all the fuss was about, but products containing Oxygen seem to be getting increasingly popular! 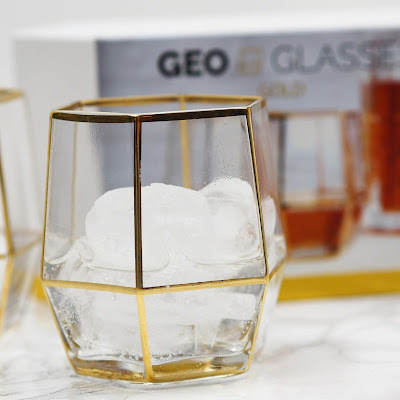 What says Luxury better than gold packaging? 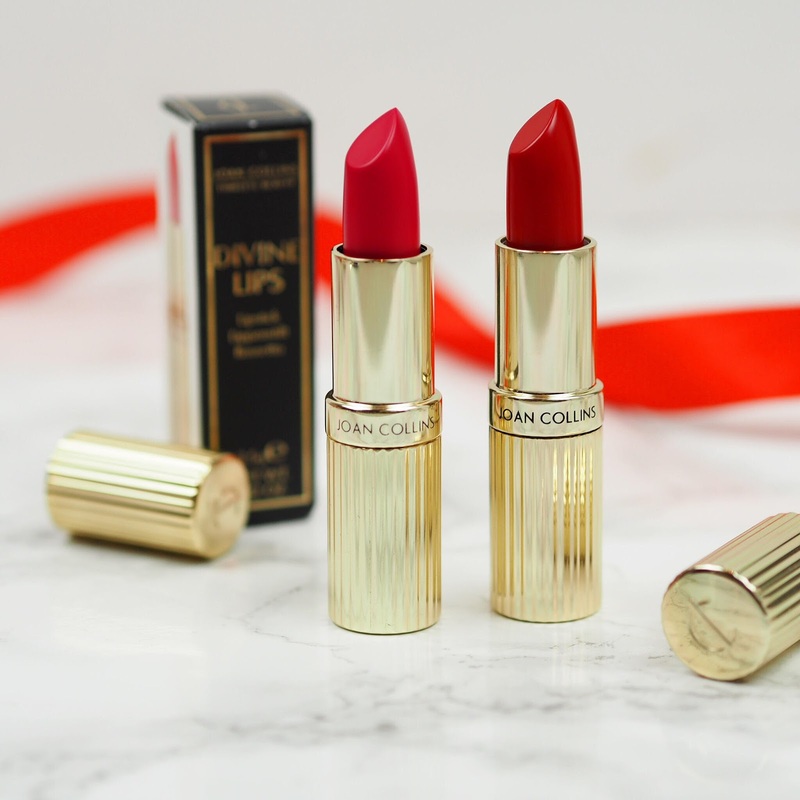 These lipsticks from Joan Collins Beauty make the perfect prezzie for any makeup junkie. 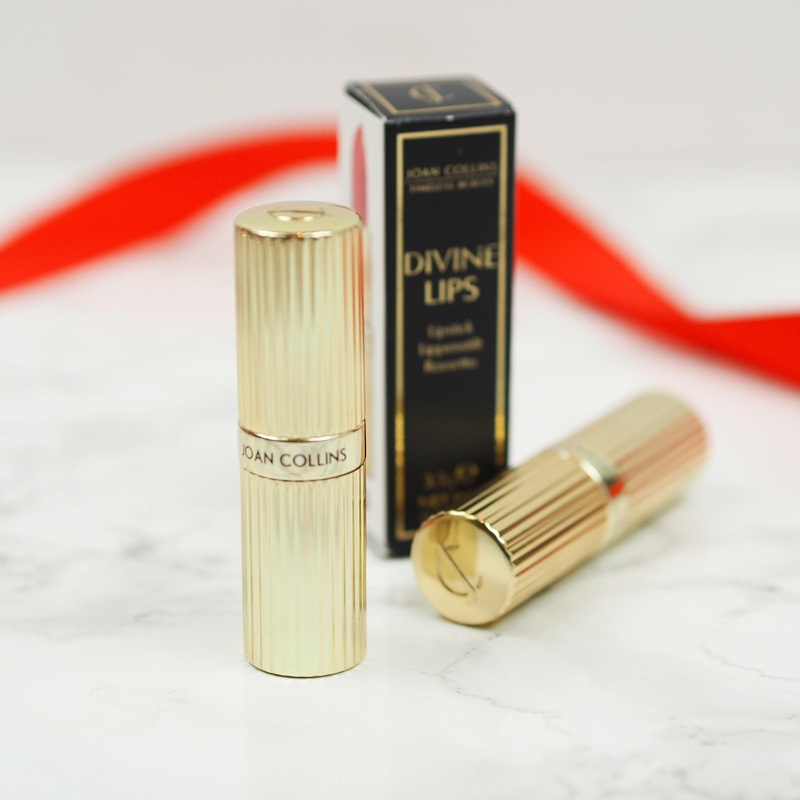 The Divine Lips have a really lovely finish too, they're really long wearing and highly pigmented and yet aren't drying in the slightest. The two colours I have here are Fontaine (a gorgeous and surprisingly wearable hot fuschia pink) and Helene (a true, slightly blue-toned red) and would make the perfect addition to any lipstick collection! I do hope you liked this post! I'm so pleased with how the photos have turned out, I even tried to throw in some luxe decorations, so it felt a little festive. 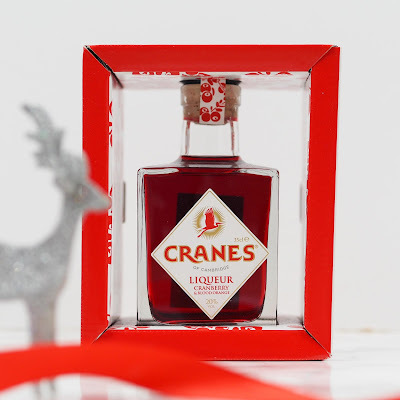 I don't know about you, but I'd happily add every item on here onto my Christmas list! What Luxury item have you got your eye on this year?